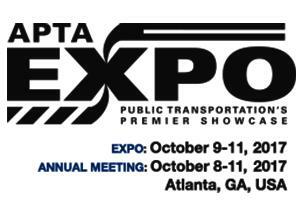 Blaschke are first time exhibitors at APTA Expo within the German Pavilion and look forward to catching up with colleagues old and new this year, to bring them up to date with their latest innovations. Hans Blaschke, Blaschke’s chief executive said: "The US is a new market to us, until now clean air in maintenance depots is not at the forefront of workshop manager’s minds like in many other countries. We are going to change that." From October 8-11, the experts for clean air will be based in Apta’s German Pavilion on stand 1746, hall B. The event, held at the Atlanta Georgia World Congress Center, attracts thousands of visitors from America and across the globe and is recognised as the American rail industry’s leading international trade show. Blaschke Umwelttechnik, Europe’s leading provider of exhaust extraction systems for diesel trains in train maintenance depots, has recently installed their system in three British maintenance sheds from Hitachi Rail Europe under the Intercity Express Programme (IEP) project. Capturing all hazardous fumes from diesel powered trains running in closed halls leaves the air clean and the workers healthy. It saves cost too, in winter, when warm air from inside is disappearing because gates are open to let the fumes out. For more information about Blaschke’s full portfolio of diesel fume extraction equipment, speak to its sales team at APTA, or contact Blaschke.